Until she became a heroine of the inaugural “American Crime Story”, the former Los Angeles prosecutor Marcia Clark had been keeping a basement-deep low profile. But the sympathetic portrayal of her thankless work in the unsuccessful case against O.J. Simpson in an Emmy-winning performance by Sarah Paulson, brought her back into the limelight. She met with the actress, and during awards season even accompanied her to events, receiving her own measure of applause. And now she’s parlayed her newfound acceptance into a new series, in which she uses those skills as a prosecutor to revive and get more answers about cases that are almost as notorious as that of Simpson. 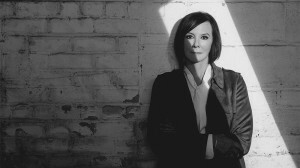 “Marcia Clark Investigates the First 48″ (A&E, 9 p.m.) gets its premiere tonight, parlaying the investigative skills of the network’s The First 48 into older cases Clark investigates firsthand. “The show is a perfect fit for me,” she told reporters at the TV Critics Association winter press tour earlier this year. Being asked to be part of an A&E crime investigation, though, was something she would have done any time, Clark said. Odd as it may seem, she throws herself into cases as well known as Casey Anthony and re-examines some of the key witnesses, managing to eke out new information despite the cases being examined previously. I asked whether it was her skills that will bring new information to these stories. “Well,” she said, “they do seem to open up more because I’m a real lawyer. I don’t just play one on TV, and I think it matters. I think they know that. They know that I really care about the case. They know that I know how to investigate a case. “They have a certain degree of trust, I’ve found, and are willing to talk and open up in ways that they tell me I’m not guessing. They tell me they have not said things before, have not been willing to talk about before. But he added that they’re willing to do lesser known cases as well. “I think we were actively seeking to do cases you haven’t heard of because it will be all new for you, and I think that people who are interested in true crime are going to be really happy about that, because they don’t need necessarily notorious cases,” Clark said. The new series is accompanied by a second new title that brings together familiar faces, “Grace vs. Abrams” (A&E, 11:05 p.m. EDT), a kind of “Crossfire” about criminal cases and the legal system, starring Dan Abrams of “Live PD squaring off against longtime analyst Nancy Grace.